The Copenhagen Studies in Language Series includes studies of language for general purposes and also language for special purposes (LSP). It covers grammar, semantics, pragmatics, text linguistics and translation, both from theoretical and applied perspectives. It is editorial policy to bring out the journal in the form of a series of thematic volumes. Although produced from the Copenhagen Business School, the journal welcomes contributions from linguists based at other institutions either in Denmark or the wider world. This volume is the first of two bringing together a number of empirical studies by scholars working in the field of translation process research. 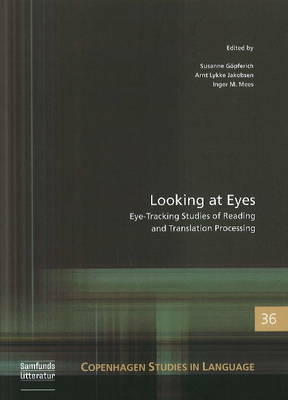 This first collection contains ten papers describing various reading and translation experiments using eye-tracking techniques (sometimes combined with other process tools such as keystroke and pause logging methodology). Contributors include members of the EU Eye-to-IT project and other colleagues from various European universities.